The post UW Bothell School of Business, Muckleshoot Tribal College Offer Program in Operations Management appeared first on Tribal College Journal of American Indian Higher Education. The council also acknowledged the retirement of former Keweenaw Bay Ojibwa Community College president Debra Parrish. The post Something Old, Something New in Keweenaw Bay appeared first on Tribal College Journal of American Indian Higher Education. John Bogle, the Founder of Vanguard Group, was honored with the American Indian College Fund’s Billapaache Award at the 2018 Flame of Hope Gala on April 11 in New York City. 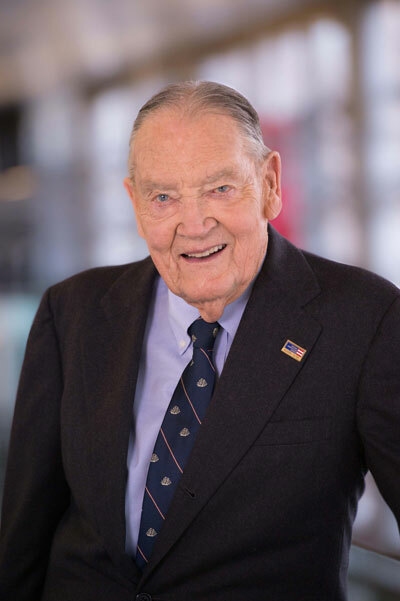 The post American Indian College Fund Honors John “Jack” Bogle at 2018 Flame of Hope Gala in New York appeared first on Tribal College Journal of American Indian Higher Education. Fond du Lac Tribal and Community College (FDLTCC) is hosting the 15th annual Law Enforcement Career Expo and Campus Visit Day from 10:00 a.m. 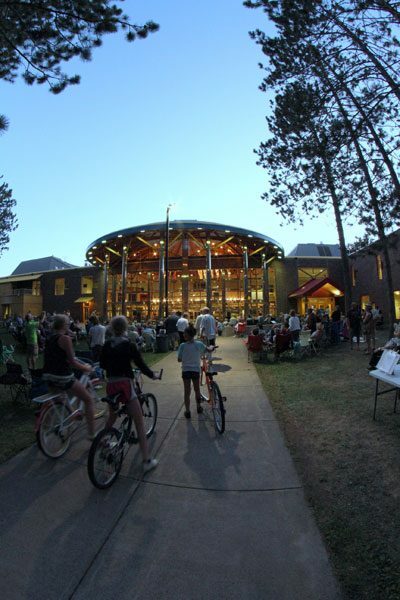 The post Fond du Lac Tribal and Community College to Host Law Enforcement Career Expo appeared first on Tribal College Journal of American Indian Higher Education. The “Leadership Flathead Reservation” developmental program is ending its first nine-month series. A group of over 20 students attended nine courses on local leadership initiative topics including: history and government, health and human services, and public safety to name a few. The post Salish Kootenai College Developmental Leadership Program Concludes appeared first on Tribal College Journal of American Indian Higher Education. The post Fond du Lac Tribal and Community College Plans Fine Arts Week appeared first on Tribal College Journal of American Indian Higher Education. Research has shown that children of color are more likely to succeed when they have a teacher of the same race. Yet Native children are much more likely to have a White teacher than a Native teacher. The post American Indian College Fund Seeks to Build Teacher Pipeline, Promote STEM in Early Childhood Education appeared first on Tribal College Journal of American Indian Higher Education. Thirteen Navajo Technical University (NTU) students were inducted into the National Technical Honor Society (NTHS) during a candle light ceremony in NTU’s Hospitality Center. The ceremony also saw the installation of NTU’s new NTHS officers. The post Navajo Technical University Inducts Students into National Technical Honor Society appeared first on Tribal College Journal of American Indian Higher Education. The post Pendleton Introduces 2018 American Indian College Fund Blankets appeared first on Tribal College Journal of American Indian Higher Education. 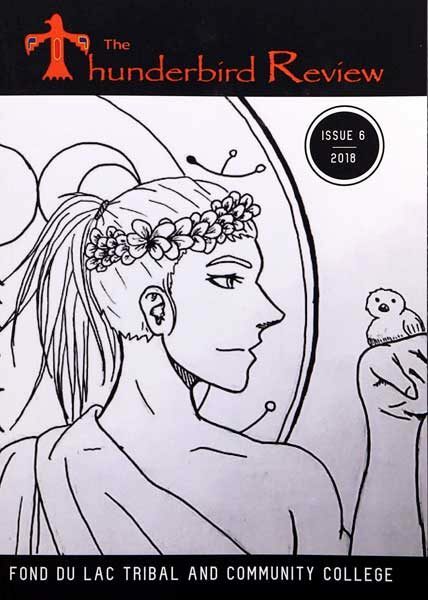 Fond du Lac Tribal and Community College (FDLTCC) has published the sixth edition of its literary and arts anthology, The Thunderbird Review. The post Fond du Lac Tribal and Community College Publishes Thunderbird Review Anthology appeared first on Tribal College Journal of American Indian Higher Education. Iconography is part of Americana. Unfortunately, many symbols including racist statues and sports mascots are predicated on a rationale that denies historical truth. The post American Symbols and the History They Hold appeared first on Tribal College Journal of American Indian Higher Education. 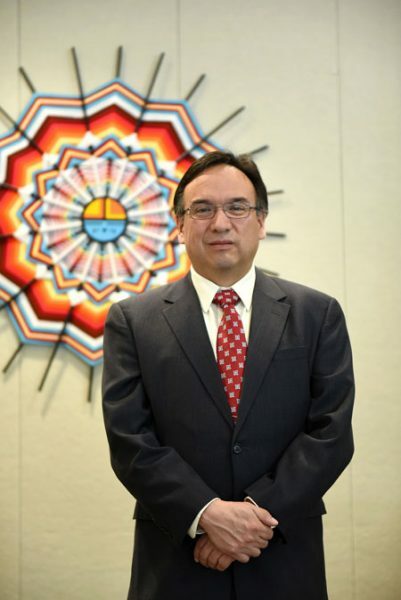 The post Raymond Burns Named President of Leech Lake Tribal College appeared first on Tribal College Journal of American Indian Higher Education. Johnson, who studied law enforcement at FDLTCC, said it is important that those who are mixed race also get on the registry, especially those of Native American decent. The post FDLTCC to Host Bone Marrow Drive appeared first on Tribal College Journal of American Indian Higher Education. The Trustees of the Andrew W. Mellon Foundation have approved a grant of $2.024 million to the American Indian College Fund to continue support for graduate degree completion fellowships for tribal college and university (TCU) faculty. The post The Andrew Mellon Foundation and American Indian College Fund Partner to Invest in Tribal College Faculty Development appeared first on Tribal College Journal of American Indian Higher Education. United Tribes Technical College was spared from losing federal funding in a provision in the omnibus funding bill that President Donald Trump signed into law on Friday. The post UTTC Spared from Losing Pell Grant Eligibility in Omnibus Spending Bill Provision appeared first on Tribal College Journal of American Indian Higher Education. McArthur said that Red Lake Nation College will soon offer trainings and teach students to work with the solar panel systems. The post Sun Power: Red Lake Solar Project Takes Off appeared first on Tribal College Journal of American Indian Higher Education. Goodwin's tutorial was one of several at the tribal college's third annual "Across the Universe" science, technology, engineering, and math (STEM) showcase, which organizers said was designed to pique the Leech Lake community's interest in science and show that the field doesn't have to be shut away in a lab or classroom. 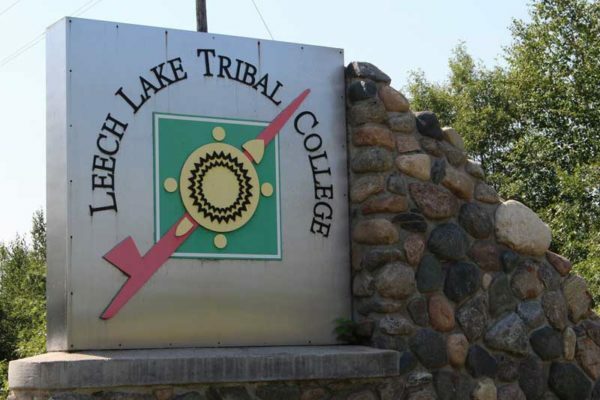 The post STEM Showcase: Leech Lake Tribal College Holds Science Gathering for Community appeared first on Tribal College Journal of American Indian Higher Education. The Debt-Free College Act of 2018 is distinctive for its proposal to establish a long-term plan to do so, while paying particular attention to the financial needs of low-income students and students of color. The post A New Opportunity for Low-Income Students to Earn a Debt-Free Degree appeared first on Tribal College Journal of American Indian Higher Education. The Leech Lake Tribal College (LLTC) is pleased to announce that a $42,000 grant was recently received from the Shakopee Mdewakanton Sioux Community (SMSC). 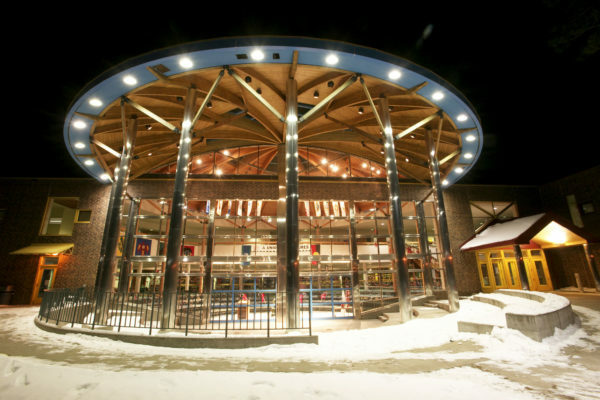 The post Leech Lake Tribal College Receives Grant from Shakopee Mdewakanton Sioux Community appeared first on Tribal College Journal of American Indian Higher Education. Between March 11-14, students, staff, and faculty from 35 tribal colleges and universities (TCUs) gathered in Bismarck, North Dakota, for the American Indian Higher Education Consortium’s (AIHEC’s) 37th annual student conference. The post AIHEC Student Conference a Success appeared first on Tribal College Journal of American Indian Higher Education.